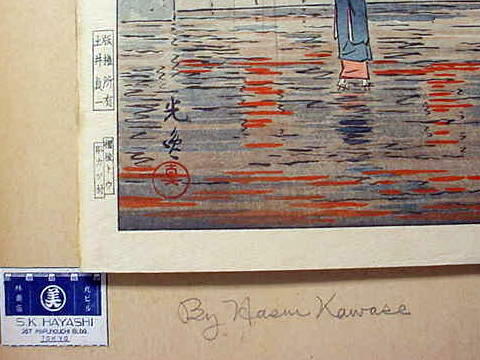 Someone wrote "by Hasui Kawase" on the backing of this woodblock but a kind eBayer told me that this is actually by Tsuchiya Koitsu and I did find it on the internet. 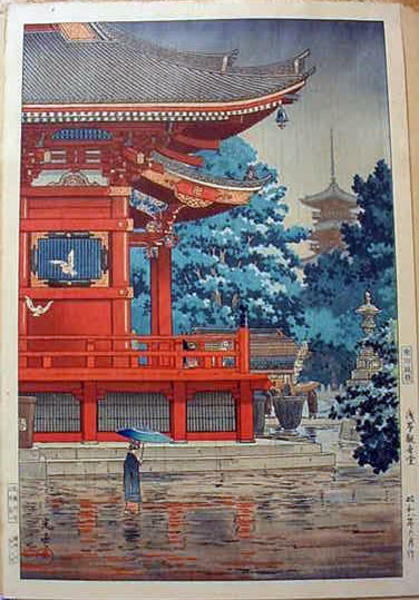 It is titled Rain at Asakusa Kannon Temple and was published in 1933 by Doi Teiichi. It is the Oban edition. 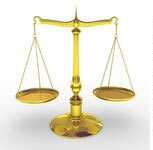 Image size is 14-1/2” x 9-1/2” and the complete size including margins is 15-1/4” x 10-1/2”. 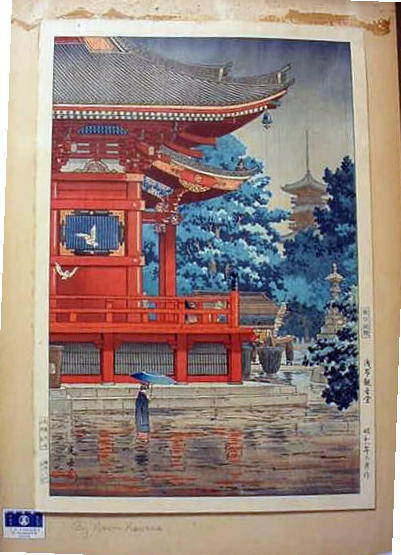 It was framed when I bought it and shows even, overall mild darkening due to age. It is attached at the very top right and left edges to the cardboard backing that you can see in one of my pictures. 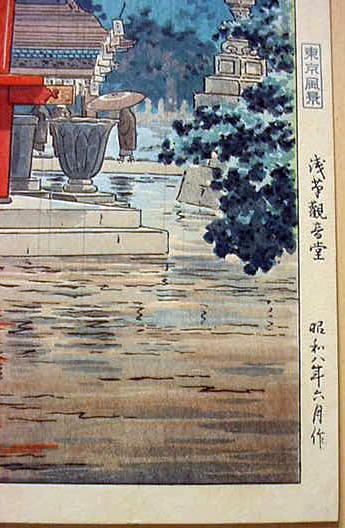 It is in very nice condition other than the mild darkening.